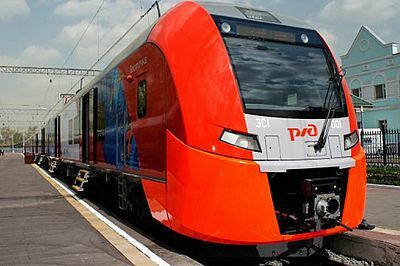 Moscow Nizhny Novgorod train tickets at the lowest prices available. Lastochka train, Nizhegorodec train, Sapsan train. 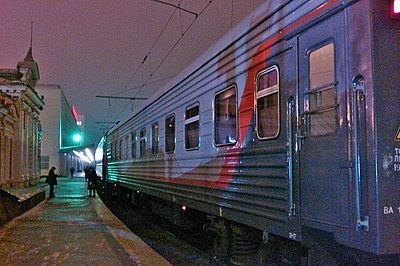 Lastochka trains operate on several routes including Moscow to Nizhny Novgorod. 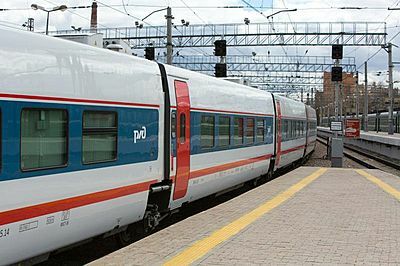 These are high-speed electric trains of the Velaro RUS series produced by Siemens Transportation Systems and adapted for Russia's weather conditions. Lastochka train consists of 5 carriages with 2nd class seats. Trains operating on busy destinations may have 10 carriages. Nizhegorogets is a daily train which operates between Moscow and Nizhniy Novgorod (Gorky). There are 1st, 2nd and 3rd class tickets available. The train has a nice restaurant with good choice of meals. Travel time is from 6.5 to 7 hours depending on direction. Strizh is a high-speed electric which operates on Moscow to Nizhny Novgorod route. The train's cars were produced by PATENTES TALGO SL (Spain). The trip from Moscow to Nizhny Novgorod takes 3 hours 35 min. There are up to 7 trains daily. The train consists of 18 carriages of different classes: 1st class sleeper, 1st class seats and 2nd class seats. There is a bistro car and a restaurant car on board.